Morning! I realise that when it comes to P55, most of you just want performance numbers, but sadly I can't quite put you out of your misery. 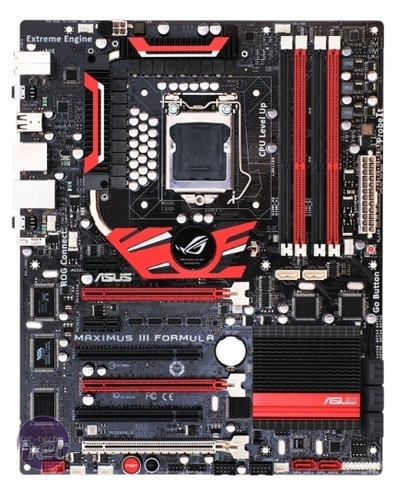 I can however, offer a preview of what's likely to be a very special P55 motherboard - the first to wear the Republic of Gamers badge, namely the Maximus III Formula. Shots and discussion below the break. My first impressions were, 'so what's new?' 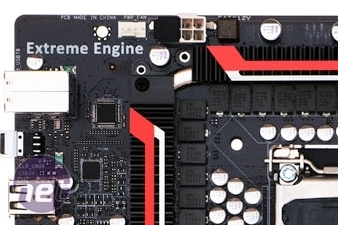 The board looks like other RoG boards, with Asus even putting an entirely superfluous heatsink between the socket and the first PCI-E slot - P55 is really just a Southbridge that connects to the CPU socket via a DMI link. Apparently the colour scheme is new and the heatsinks are low-profile and shouldn't interfere with other components. Looking closer though, there are some new additions to the RoG motherboard lineup. Game First The network controller (a Realtek chip, I believe) supports this packet-prioritisation algorithm. 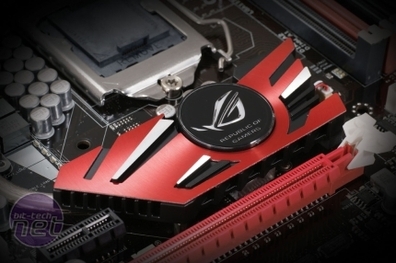 Asus says this will allow you to play online games while Bit-Torrenting. The Go Button allows you to use the MemOK technology to get the BIOS to try different settings in order to get memory working (in the case of a memory-based failure to POST), or you can load in the Go Button profile to apply an overclock while in Windows. The board will also support the RoG Connect header to attach the OC Station as well as the ProbeIT multi-meter read-outs for live voltage monitoring. The Maximus II Formula also has the Mem Perfect technology, so you shouldn't need to adjust your memory speeds manually as you overclock your QPI. But then I always do anyway, just to be sure. I have no idea what an 'Extreme Engine' is - I'm guessing it's nothing like what this idiot has done linky. 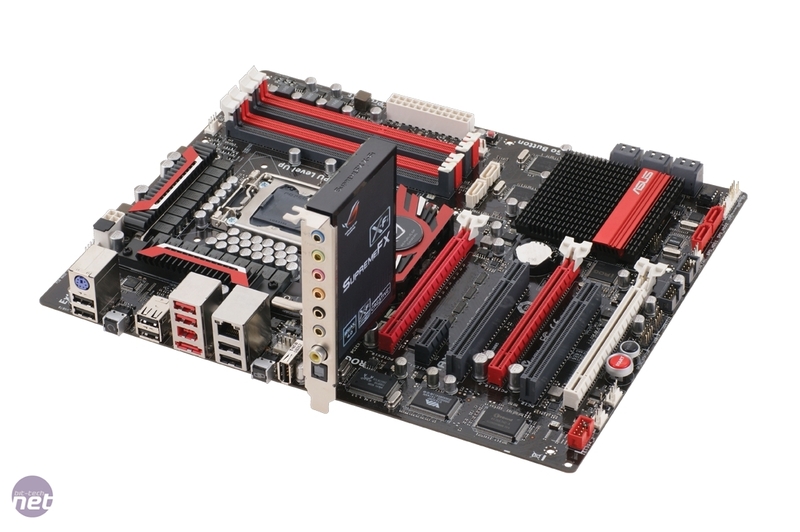 Back to motherboards though, and what do you think of the imminent P55 RoG board?